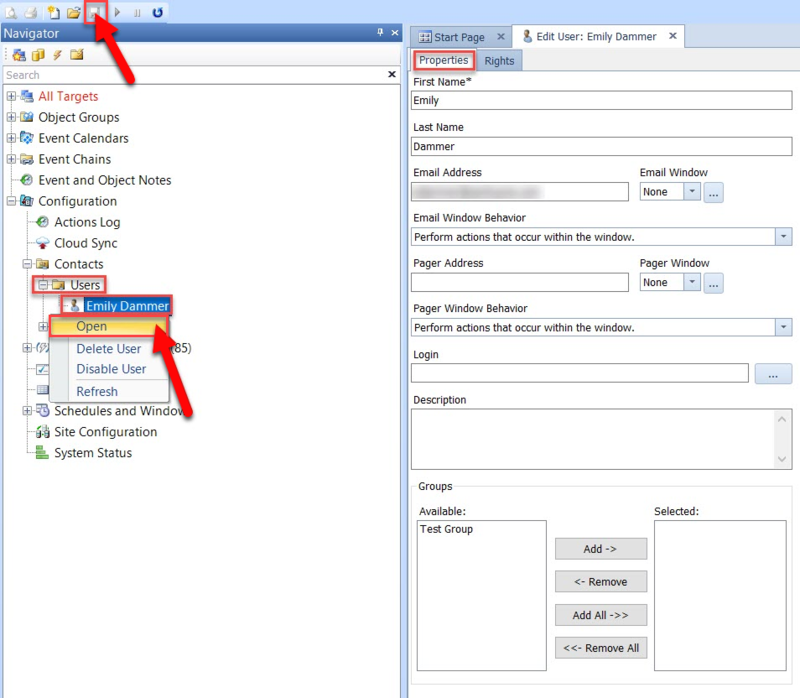 The following is a review of some common tasks performed using the SentryOne Client. 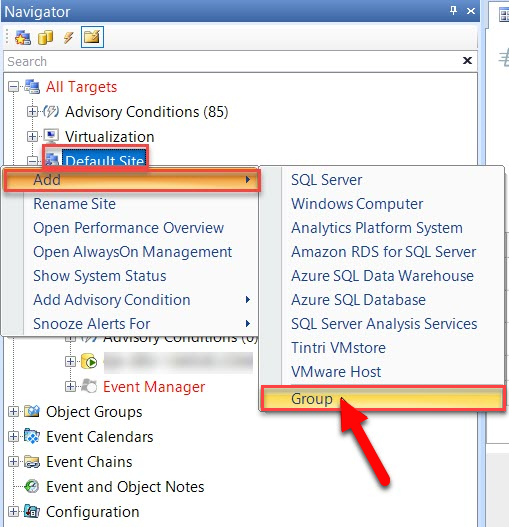 On any site node or existing group node, right-click and select Add, and then select Group. On any existing group node, right-click and select Delete Group. 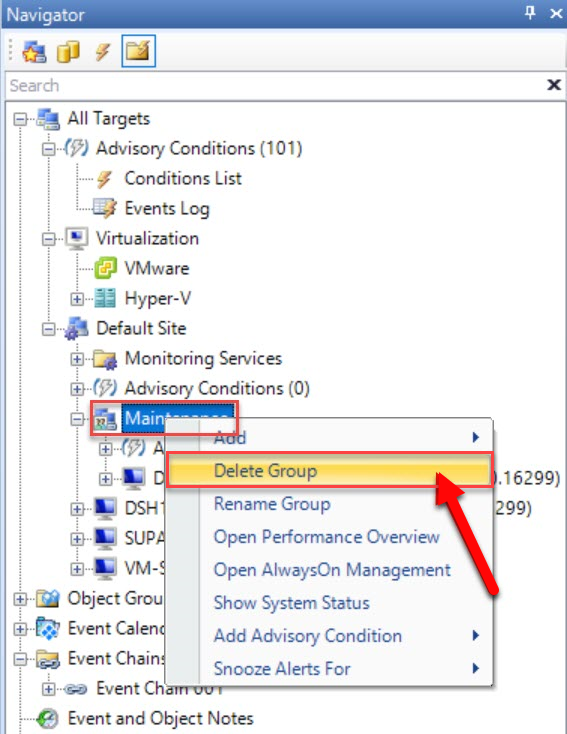 Remove all targets and sub-groups before deleting a group. 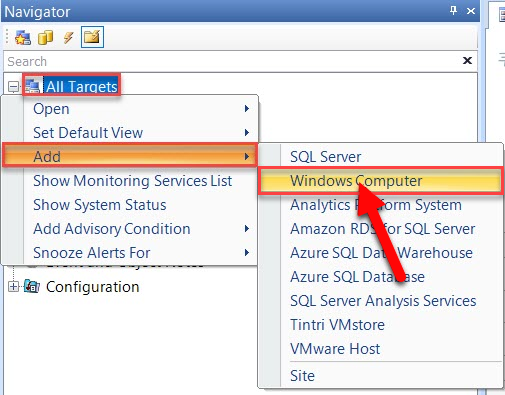 Select Delete Target in the right-click context menu of any target node. Before deleting a target, select Stop Watching to stop watching all of its associated instances. Warning: Delete Target deletes the actual registration for the target from SentryOne. This includes the deletion of all historical information for any associated instances belonging to the target from the SentryOne database. Delete Target is final and can't be undone. 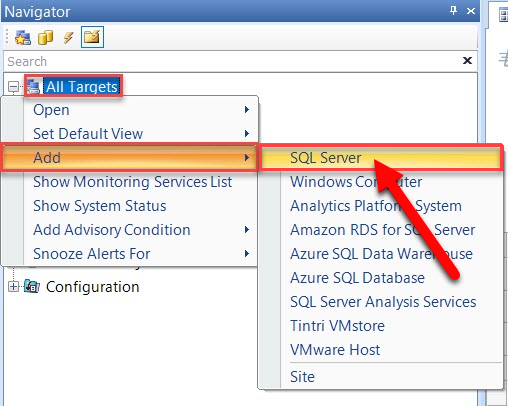 Only use this command to permanently delete information SentryOne has stored about the target and its associated instances from the SentryOne database. For more information about adding an instance, see the Monitoring Additional Targets topic. On any instance node, select Watch. 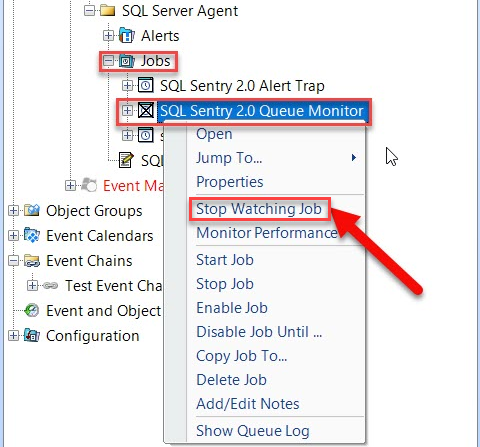 For more information about watching an instance, see the Monitoring Additional Targets topic. 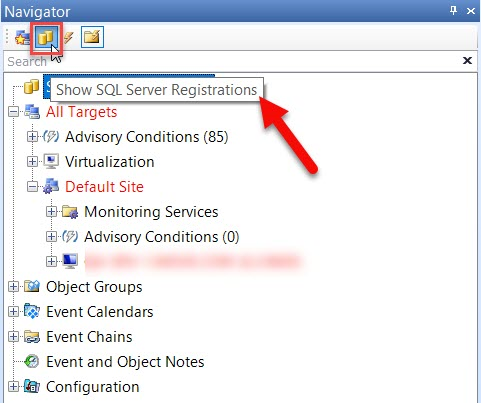 To view your local SQL Server registrations, select the Show SQL Server Registrations icon located in the Navigator pane. 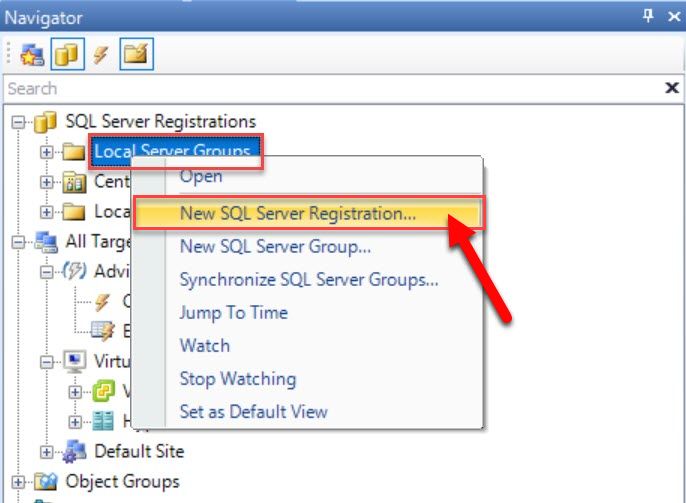 Select New SQL Server Registration in the right-click context menu of the Local Server Groups node contained beneath the SQL Server Registrations node. 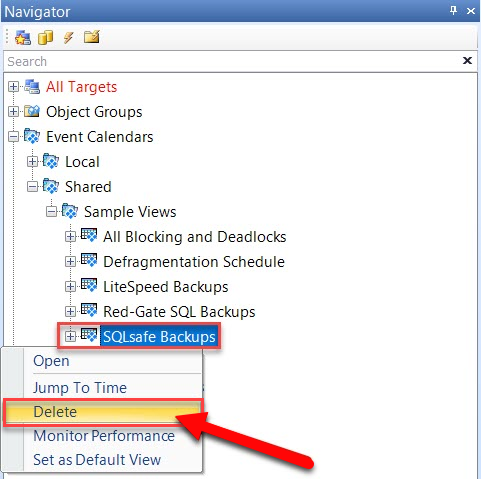 Select Delete Registration in the right-click context menu of any SQL Server registration. 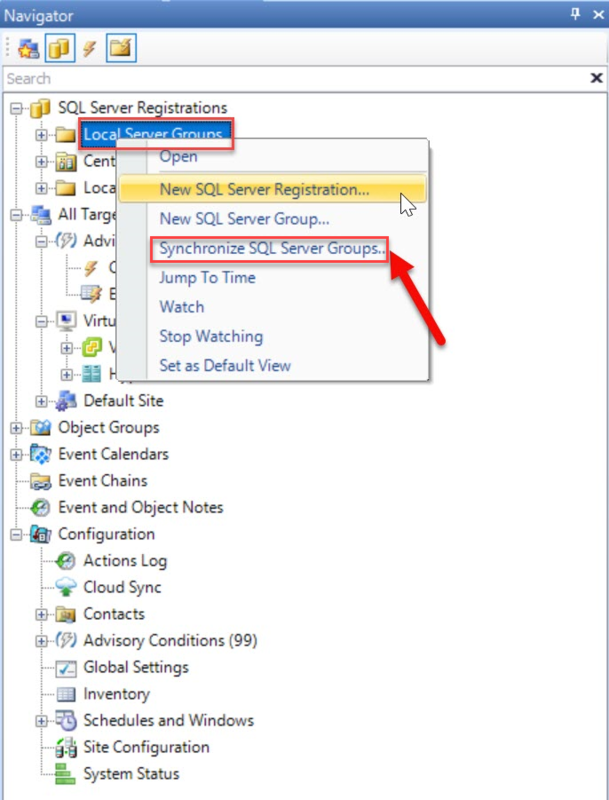 On the Local Server Groups node, select Synchronize SQL Server Groups. 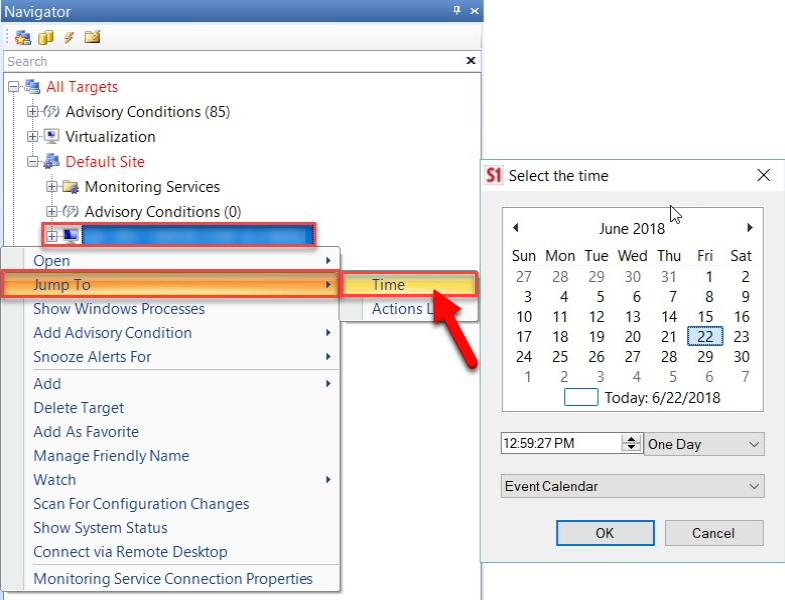 This synchronizes the SentryOne client groups and servers with SSMS. 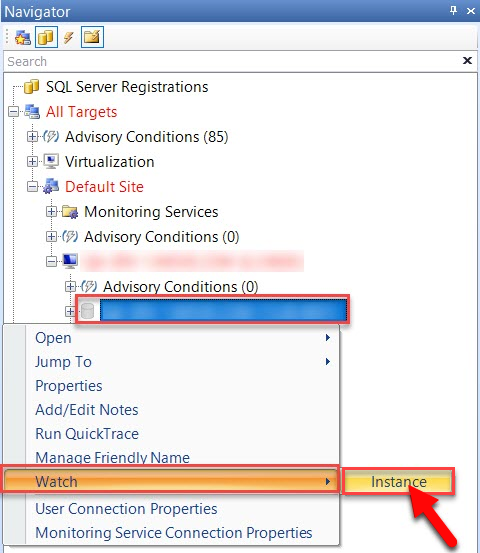 Note: You may need to close SSMS prior to synchronization for any changes you make visible. On any node above the object level, right-click and select Jump To > Time. This displays a calendar and time selector to take you to the view opened at a specified date and time. To persist the time setting, go to Tools > User Preferences > Navigator, and then select the appropriate parameters. This allows you to jump to the same time for each selected view. For more information about the Event Calendar, see the Calendar and List Views topic. Double-click or right-click the Users node, and then select New. Input the appropriate information in the user window, exit the user window, and then select Save. The new user displays under the Users node. Double-click or right-click the Users node, and then select Open. The user window appears populated with that user's settings. Make any changes, exit the user window, and then select Save to save the changes. On a user node, select the delete key or select Delete User from the context menu. This permanently deletes the user. Double-click or right-click the Groups node, and then select New. Input the appropriate information in the group window, exit the user window, and then select Save. The new group displays under the Groups node. 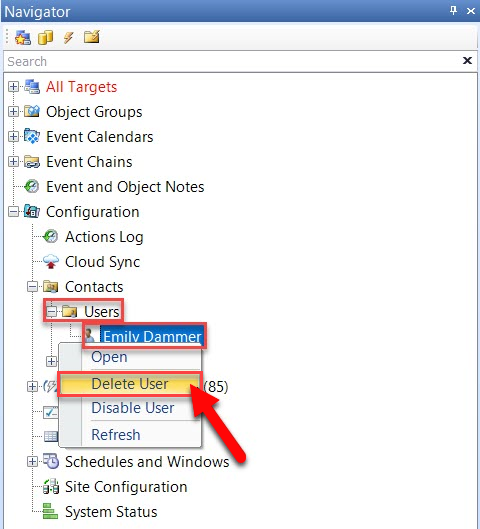 Double-click or right-click the Groups node, select Open, and the group window appears populated with the group's settings. Make any changes, exit the user window, and then select Save to save the changes. 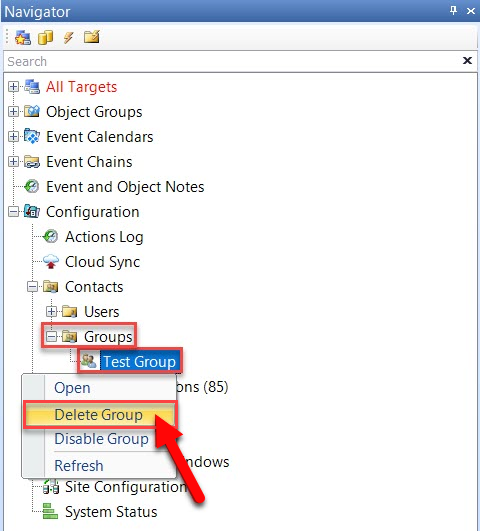 On a group node, select the delete key or select Delete Group from the context menu. This permanently deletes the group. For more information about users and groups, see the Contact Management topic. On any event objects node, select Delete Job. This permanently deletes the object. 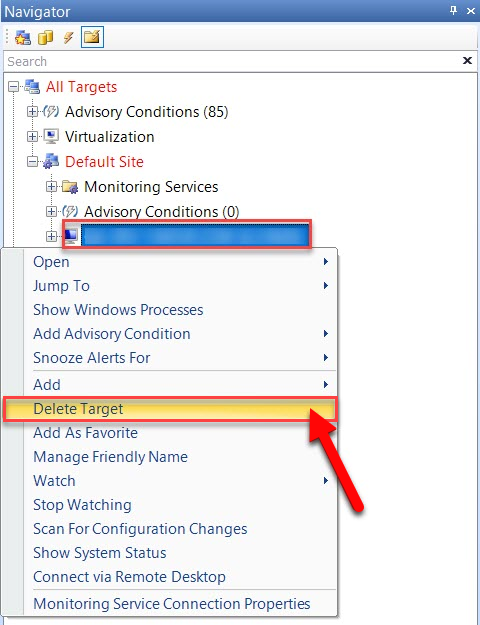 Note: Not all objects support deletion from the SentryOne Client (e.g., Reporting Services). On any event objects node, select Watch Job. This sets the object status to Watched, enabling conditions and actions for the object, as well as queuing chaining and performance monitoring features, if applicable. The instance status will also be set to Watched if it isn't already watched. On any event objects node, select Stop Watching Job. This sets the object status to Unwatched, disabling conditions and actions for the object, as well as queuing chaining and performance monitoring features, if applicable. 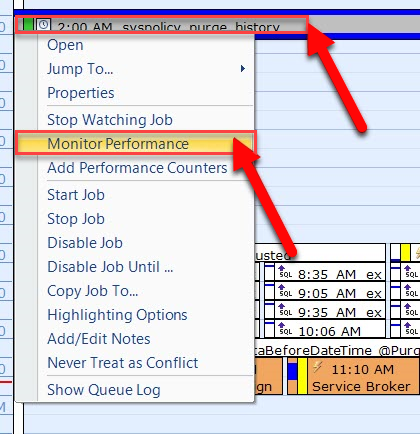 On a watched event objects node, select Monitor Performance. 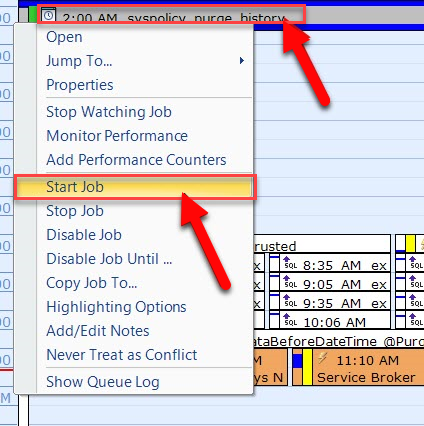 This enables monitoring for any performance counters linked to the object. 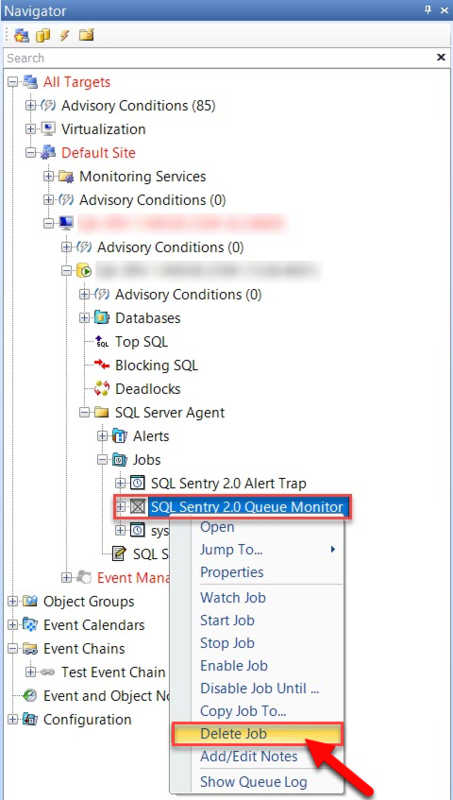 The SentryOne monitoring service automatically starts any linked counters immediately prior to an event instance starting and stops the counters shortly after the instance ends, minimizing any associated overhead on the network and monitored instance(s). 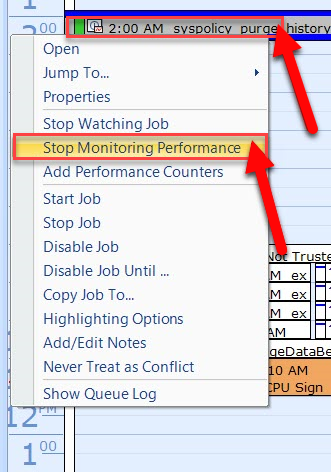 On a watched event objects node, select Stop Monitoring Performance. This suspends performance monitoring for the object. Existing linked counters are not deleted, so monitoring can easily be re-enabled for the object in the future. On any job or task node, select Start Job. If the job has more than one step, a window appears allowing you to select the step where you would like the job to start. 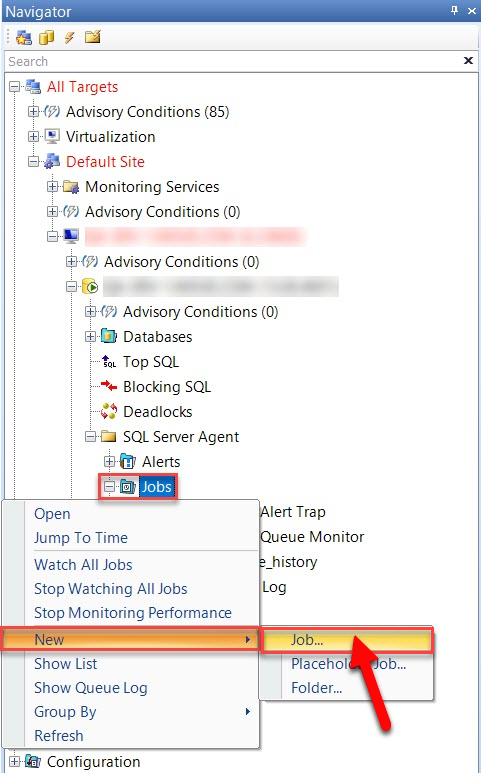 On any job or task node, select Stop Job. 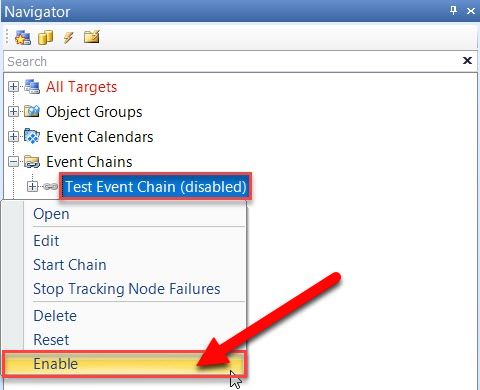 On the event objects node, select Enable. This enables the event to run according to the schedules defined for it. 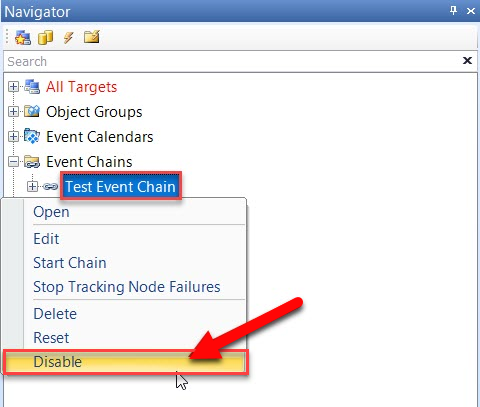 On the event objects node, select Disable. This disables the event from running according to the schedules defined for it. On any event objects node, select Properties. This displays the object's native properties window. Note: Not all objects support the properties interface (e.g., Reporting Services). 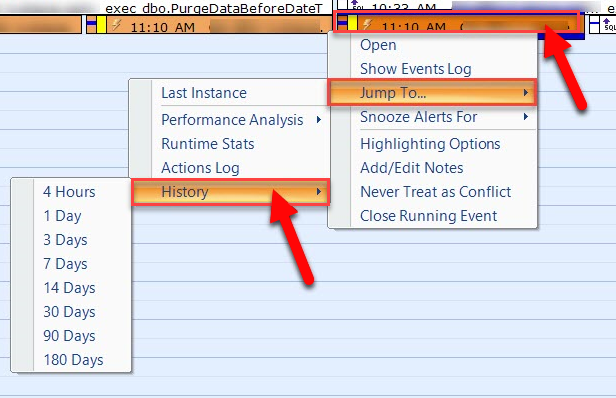 On any event objects node, select Jump To > History, and then select the range to view. On any performance counter node, select Delete. This effectively de-links the performance counter from this object. The counter can always be re-linked to the object later. 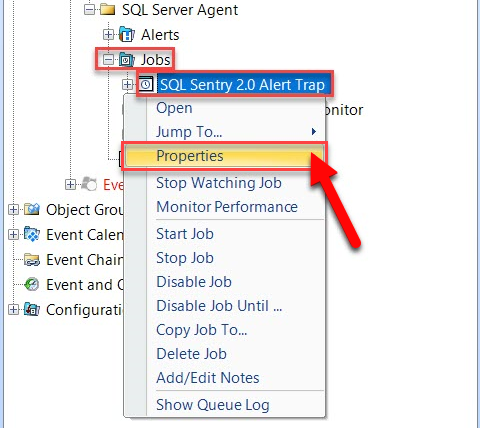 For more information detailing alerts within the SentryOne Client, see the Client Alerts article. For information detailing the glyphs within the SentryOne Calendar view, see the Calendar and List Views article. 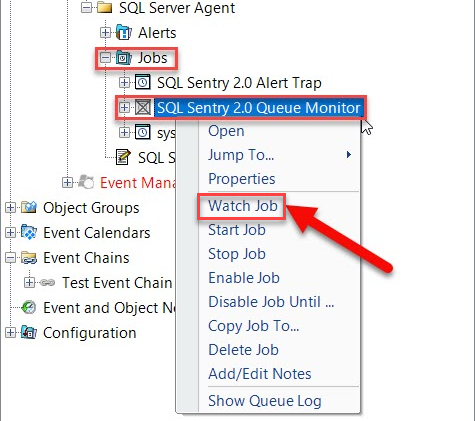 For more information detailing Event Chains within the SentryOne Client, see the Event Chains article. 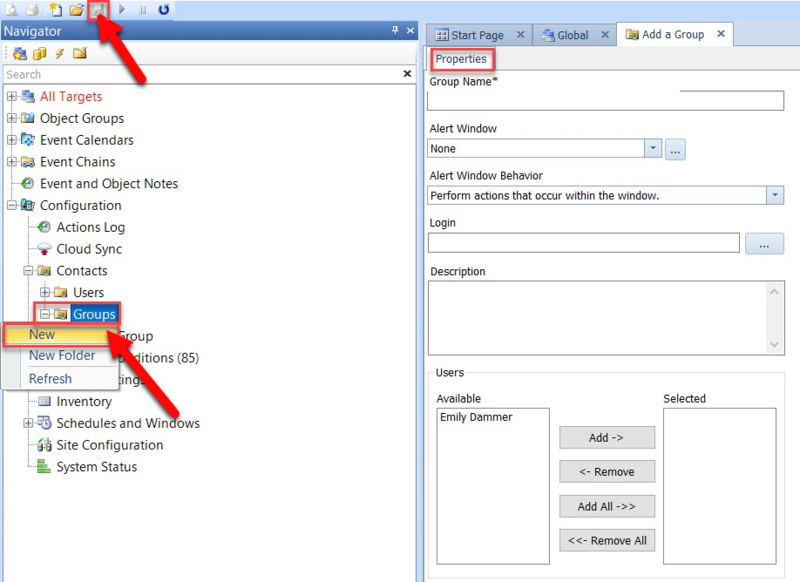 For information detailing the toolbars within the SentryOne Client, see the toolbars article. 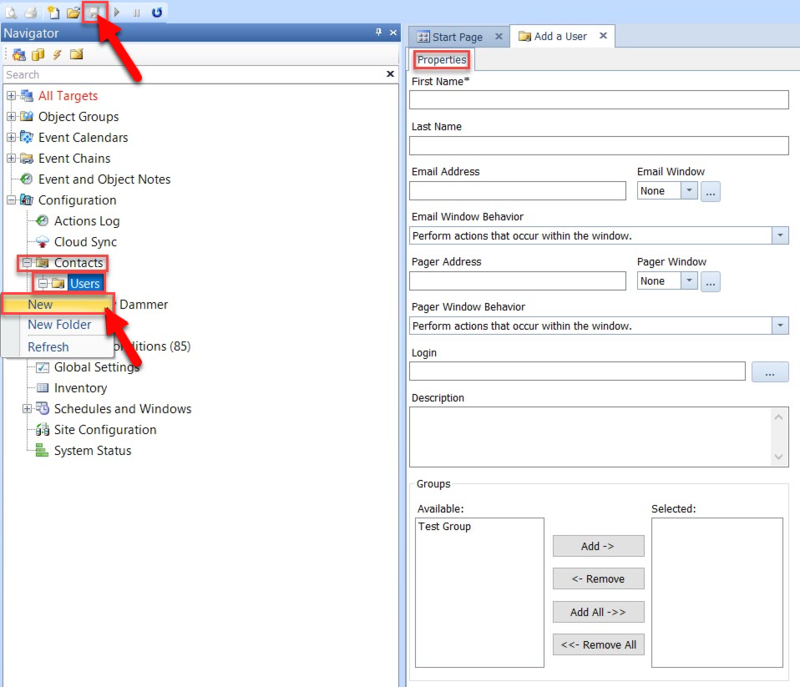 For information detailing the menus within the SentryOne Client, see the menus article. For information about customizing the visuals within the SentryOne Client, see the User Preferences article. 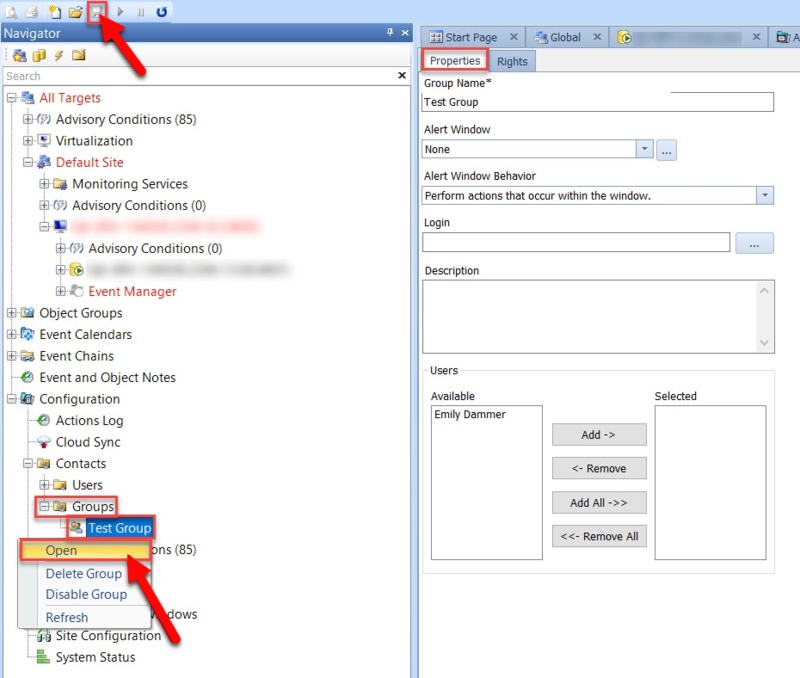 For a list of hot keys accessible within the SentryOne Client, see the Hot Keys article.